Mr. Olson joined Urban Edge Properties as Chairman and Chief Executive Officer when the company spun from Vornado Realty Trust in 2015. Mr. Olson served as Chief Executive Officer of Equity One, Inc. from 2006 to 2014. He was President of the Eastern and Western Regions of Kimco Realty Corporation from 2002 to 2006. Mr. Olson has a Bachelor of Science in Accounting from the University of Maryland, a Master of Science in Real Estate from The Johns Hopkins University and was previously a Certified Public Accountant. Mr. Olson is an Executive Board Member of the National Association of Real Estate Investment Trusts and is Chairman of the Real Estate Advisory Board at The Johns Hopkins University. Mr. Weilminster joined Urban Edge Properties in September 2018 as Executive Vice President and Chief Operating Officer. Before joining Urban Edge Properties, Mr. Weilminster enjoyed over twenty-eight years of employment with Federal Realty Investment Trust, most recently as the Trust’s President of the Mixed-Use Division; responsible for directing the overall strategy and day to day operations and leasing of the Trust’s mixed-use portfolio. He was also responsible for identifying hotel and office partners for Federal Realty's mixed-use projects. Mr. Weilminster completed graduate work in Real Estate Development at Johns Hopkins University and earned his Bachelor of Science degree in Finance and Marketing from Syracuse University. He is an active member of the Urban Land Institute and the International Council of Shopping Centers. He has been a guest lecturer for real estate at several universities including Syracuse University, The University of Maryland and the University of Miami. Mr. Weilminster is an Advisory Board member for Neediest Kids, a program of the National Center for Children and Families and a member of the MRED+U Board at the University of Miami. Mr. Briggs joined Urban Edge Properties as President – Development in September 2018. Previously he served as EVP-Development at Federal Realty Investment Trust where he spent 18 years. Mr. Briggs led the Trust’s development team where he was responsible for managing a diverse pipeline of retail and mixed-use developments including the development of Assembly Square in Boston, MA and Pike & Rose in North Bethesda, MD. He also served as a member of the Executive and Investment Committees at Federal Realty Investment Trust. Prior to joining Federal Realty Trust, he worked as a Development Manager for Cousins Properties and with Whiting-Turner Contracting Company as a senior project manager. He has a degree in architecture from the University of Florida and currently serves as the ULI Boston/New England Management Committee as the Governance Chair and is part of the Advisory Board Leadership Team, as a board member for NAIOP Massachusetts, and as a director of the Cambridge Trust Company. Mr. Langer joined Urban Edge Properties in April 2015. Previously he was Chief Financial Officer of Equity One, Inc. from 2009 – 2015 and was the company’s Chief Administrative Officer from 2008 — 2011. He also served as Chief Operating Officer of Johnson Capital Management, Inc., an investment advisor (2000-2007) and was a Certified Public Accountant and partner at KPMG, LLP (1988-2000). Mr. Langer graduated from James Madison University with a Bachelor of Business Administration in Accounting. Mr. Eilberg joined Urban Edge Properties as Chief Investment Officer in April 2015. Previously he was SVP, Acquisitions with Acadia Realty Trust, where he served as a key member of the acquisitions team responsible for sourcing, underwriting and closing core and value-add investments. Before Acadia, Mr. Eilberg worked in the real estate acquisition departments of The Milestone Group, Perry Capital and Soros Real Estate Partners. He has a Bachelor of Arts in Architectural Studies from Brown University. Ms. Holmes joined Vornado Realty Trust/Urban Edge Properties as Chief Accounting Officer in December 2014. Previously she spent over eleven years in the audit practice at Deloitte & Touche LLP specializing in real estate. Ms. Holmes graduated from the University of Wisconsin — Madison with a Bachelor of Business Administration in Accounting and Finance. She is a Certified Public Accountant and a member of the American Institute of Certified Public Accountants. From 2007 until Urban Edge's formation, Ms. Knop was VP — Development at Vornado Realty Trust, where she managed development and construction projects and oversaw environmental compliance and sustainability for the company's retail portfolio. Ms. Knop graduated from Rutgers University with a Bachelor of Engineering and holds a Master of Engineering from New Jersey Institute of Technology. She is a registered professional engineer. Mr. Milton joined Urban Edge Properties as Executive Vice President and General Counsel in January 2016. 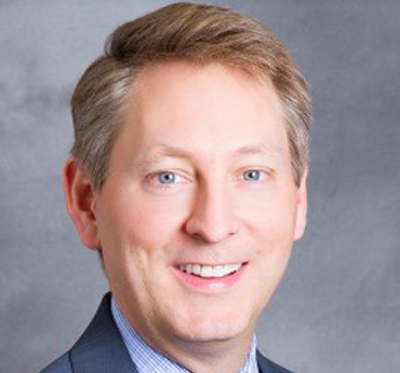 From 2008 to 2015 he was General Counsel, Chief Compliance Officer, Secretary of the Board and a Managing Director of CIFC Corp. From 1999 to 2008 he was an attorney with Milbank, Tweed, Hadley & McCloy LLP in its Global Finance department. Mr. Milton has a B.A. in Mathematics from Vassar College, a J.D. from Vanderbilt Law School and an M.B.A. from the Owen Graduate School of Management at Vanderbilt University.